Small shop, big time chair maker. Curtis shares a great conversation about his journey. Chair maker, tree farmer, humanitarian. Such a fulfilling life. It’s nice to see quality cues still being made without multi axis CNC machines or massive metal lathes :) This looks like a duplicate upload from somewhere but I couldn’t find the original upload. If someone has the appropriate link please let me know. I really like the concept of this vise. I wonder how well it would hold up under long-term use though. Very interesting stuff from this channel, as usual. This video is a bit long but there are some good tips in it. Good demonstration of miter strength near the end of the video as well. 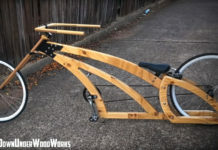 We’ve probably all seen drawbored joinery but I don’t think I’ve seen it used in this manner. Always quality work from this channel. If you haven’t already subscribed I recommend doing so. Another one from the Third coast Craftsman. A great bookshelf design, execution, and a peak into a really nice lumber yard. I don’t recall ever seeing a bar clamp with a timing belt before. I’m not sure how practical this would be to make a bunch of these but a creative use of materials. William is a great teacher. 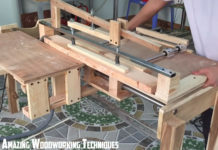 In this video he shows how to make a multifunction table saw fence. 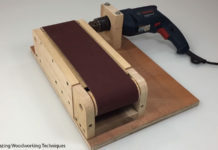 Make one of these for your bandsaw for resawing as well! 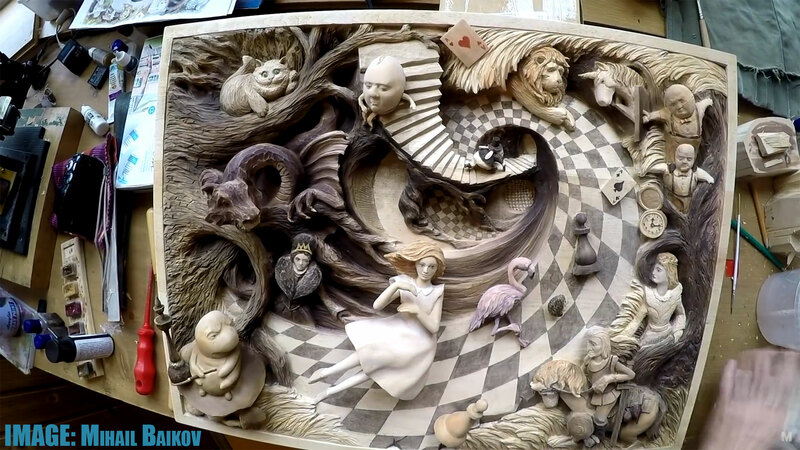 This carving is incredible! I like how the video shows the carving come to life right through the paper. Having the paper there to begin with gives a good sense of scale and overall design through the carving process. But that end result…..incredible. Thank you for an interesting ISFATW. Wonder what wood the carver used?